This lightweight V-neck sweater is an easy layer that will transition with the seasons. This lightweight V-neck sweater is an easy layer that will transition with the seasons. 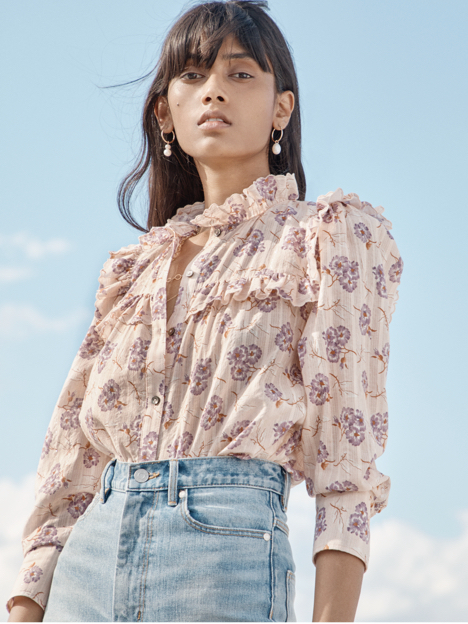 Printed with vintage-inspired garden florals, its clean, slim silhouette tops off denim with feminine flair.